The primary objective of this study is to compare the effectiveness of standard for our practice postoperative physical therapy (PT) program to a PT program that incorporates lower body positive pressure (LBPP) treadmill training for the patients after lumbar discectomy and fusion surgeries. 10 points or 20% improvement on Oswestry Disability Questionnaire; Time frame: 6 and 24 months. Following surgery study subjects will be evaluated at the following intervals: 3 (± 2 weeks), 6 (± 1 month), 12 (± 2 months), 24 (± 2 months) months. Principal Investigator: Lee Nelson, M.D. Sub-Investigators: Alan T. Villavicencio, M.D. ; Alexander Mason, M.D. ; Sharad Rajpal, M.D. This study will evaluate the O-ARM System for complex spinal instrumentation procedures and the possibility of improved accuracy, efficiency, safety and reduced radiation exposure to patients and operating room staff. Data will be collected prospectively for all consecutive lumbar fusion and kyphoplasty procedures performed using O-ARM assisted image guidance and compared to retrospectively collected data for cases performed using Iso-C fluoroscopy assistance. Radiation exposure for patients and surgical staff would be reduced using the O-ARM system as compared to the Siremobil Iso-C 3D C-arm. The O-ARM Imaging System would have an improved efficiency (operative time, need for postoperative CT scans, fewer returns to the OR for screw repositioning) as compared to the Siremobil Iso-C 3D C-arm. The main objective of this clinical study is to evaluate accuracy, efficiency, safety and radiation exposure for two imaging systems, O-ARM and Siremobil Iso-C.
Data will be collected prospectively for all consecutive lumbar fusion and kyphoplasty procedures performed using O-ARM assisted image guidance and compared to retrospectively collected data for cases performed using Iso-C fluoroscopy assistance. Principal Investigator: Alan T. Villavicencio, M.D. Sub-Investigators: Lee Nelson, M.D. ; Alexander Mason, M.D. The specific objective of this study is to directly compare radiographic and clinical outcomes of two accepted methods of cervical spine bone graft fusion using lordotic versus straight bone grafts. The lordotic bone graft is contoured to replicate the sagittal alignment of the normal cervical spine and may assist in restoring the physiological curve of the neck. The straight (or parallel) bone graft is placed to replace an intervertebral disc without changing the original curve of the neck. Both lordotic and straight bone grafts are currently used in the medical community with acceptable results. The surgical procedure proposed for painful degenerative disc disease is called Anterior Cervical Discectomy and Fusion (ACDF). A surgeon performs a complete or partial discectomy (removal of the disc between two vertebrae) and places a bone graft between the adjacent vertebrae using an anterior approach. A normal disc space height is restored by implanting a bone graft. An allograft bone (donor bone from a cadaver) eliminates the need to harvest the patient’s own bone and acts as calcium scaffolding in which the patient’s own bone grows. There are no living cells in the bone graft, so there is a little chance of graft rejection. A small metal plate is fixed in front of the vertebrae to stabilize the spine, improve the chance of fusion, and avoid a brace. Despite the increasing use of instrumentation for cervical spine surgery, little is known regarding the sagittal cervical alignment and clinical outcomes. Although, it is generally accepted that the physiologic sagittal plane contour is imperative for a normal function of the spine, restoration or improvement of cervical alignment, as a potentially critical determinant of clinical outcomes following ACDF, has not been extensively studied. We will randomly allocate patients who were undergoing ACDF surgery to two groups: patients who received lordotic allografts will be compared to the non-lordotic allograft patient group. A standard preoperative, operative and postoperative care for an ACDF procedure will be performed. All patients enrolled in the study will be asked to follow-up at 6, 12, 24, 36 and 48 months, undergo clinical and radiographic evaluations (plain lateral x-rays) and complete standardized questionnaires. 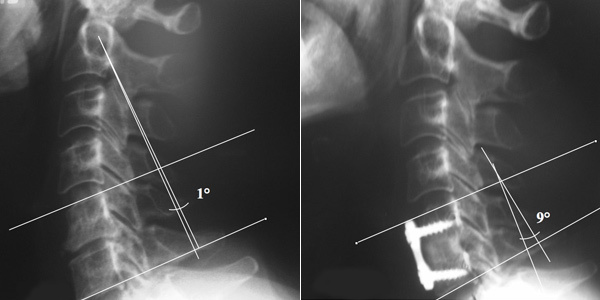 Radiological examinations, including plain lateral x-rays will be performed to measure cervical sagittal alignment on pre- and postoperative films. The degree of sagittal alignment restoration will be compared between the groups and correlated with the clinical outcomes. Patients who meet inclusion and exclusion criteria will be considered for this study. All potential candidates are subject to the above and additional nonlisted clinical trial criteria. This study demonstrated that the use of lordotically-shaped allografts did not increase cervical/segmental sagittal alignment or improve clinical outcomes. Maintaining a consistent segmental sagittal alignment or increasing segmental lordosis was related to improved clinical outcomes. Click this link (PDF) to read more about the results. Evaluate clinical, neurological, and neurobehavioral outcome in patients tested at discharge, 3, 6, 9 and 12 months post injury and the relationship of clinical outcomes and the brain extracellular magnesium levels measured for 7 days following the initial injury. Establish brain extracellular magnesium concentration correlation with the magnesium concentration in the cerebrospinal fluid and serum. Evaluate the free extracellular magnesium concentration in the brain dialysate, serum and cerebrospinal fluid and their correlations with the other brain biochemical markers, such as glucose, lactate, pyruvate, and glutamate. Despite substantial improvements in the management of traumatic brain injury, a significant percentage of patients still experience serious sequelae of cognitive and/or focal neurological deficit due to a secondary injury. Magnesium has been shown to play a significant role in several mechanisms of neuroprotection. Experimental and clinical studies have shown that intracellular magnesium levels decrease with traumatic brain injury and that magnesium therapy is effective in limiting the extent of neurological dysfunction. This is a baseline study founded on the understanding that magnesium is a potent neuro-protective agent, which plays important roles at the cellular level. In animal studies, it has been observed that magnesium is decreased in the brain after head trauma and better clinical outcomes were achieved if magnesium was given. Unfortunately, the same result has not been observed in humans. However, thus far all human studies have only looked at total magnesium concentration in the blood. This study is unique, because it will measure ionized magnesium and correlate its concentration with other well-established traumatic brain injury biological markers and clinical outcome. Patients will be randomly assigned into two groups. The first group will receive a placebo treatment with blood magnesium levels maintained at the therapeutic levels. For the patients randomized to the second group – magnesium sulfate will be given. Patients will be implanted with a microdialysis probe within 12 hours of hospital admission. The microdialysis probe insertion is always be done in conjunction with a medically-indicated neurosurgical procedure. Clinical, neurological, and neurobehavioral outcome will be assessed measuring disability, affect, memory and cognition, as well as sensorimotor abilities. We believe that this study will help us to develop strategies and interventions to limit secondary brain damage that occurs within hours and days after head trauma and help patients in a long-term recovery of function. Patients who meet the specific inclusion and exclusion criteria will be considered for this study. All potential candidates are subject to the above and additional nonlisted list clinical trial criteria. To evaluate clinical outcomes of fiber-enabled CO2 laser-assisted (Omni Guide, Cambridge, MA) microdiscectomy. While excellent and good clinical outcomes have been reported in 85-90% of patients after lumbar microdiscectomy, the procedure itself is associated with higher morbidity when compared to percutaneous discectomy. Percutaneous laser-assisted spine surgeries are perceived as more effective treatment among patients and laypersons. However, mainly due to a limited ability to deal with the cause of pain, limited exposure, and inability to remove the bone, this type of surgery receives less favorable feedback from the majority of spine surgeons. The reasons cited for postoperative pain include insufficient removal of herniated or degenerative disc tissue and traumatization of a nerve root (1). In one study, clinical outcomes after percutaneous discectomy were reported as “fair or often worse” compared to microdiscectomy based on the recent assessment of the current evidence (2). A success rate of up to 75% has been reported for percutaneous discectomy with 7-15% revision rates. Similar rate of necessary interventions has been reported after microdiscectomy. The CO2 laser energy has been identified as the most effective laser for disc ablation, but until recently could not be delivered with a fiber (3, 4). This technology, based on flexible delivery of CO2 laser energy, enables no-touch vaportization of the disc material and scar tissue. We believe there is a potential for this new CO2 laser-assisted technology to improve the efficiency in the operating room, because it allows ablation of the tissue in the lateral recess, including osteophytes, and durable connective tissues. The minimal lateral thermal spread reduces the risk of injury to the overlaying nerve root and theoretically makes this technique safer than other existing laser-assisted discectomy procedures. The CO2 laser also has a capability to cauterize the nociceptive fibers within the wall of the annulus. As a result, we expect to achive a more complete herniated disc removal and improved clinical outcomes. Single level primary lumbosacral microdiscectomy procedures (L1/2, L2/3, L3/4, L4/5 and L5/S1). Radicular symptoms with leg pain more severe than back pain. Radicular symptoms corresponding to the pathology on imaging studies. Failure of conservative treatment of at least 6 weeks. Patients undergoing active treatment for back pain in other than the index level location. Previous lumbar back surgery at the index level. Pain relief achieved: 10-point Visual Analog Scale (VAS); separate scores will be documented for lower back and leg pain. Health-related quality of life or functional outcomes will be assessed using the Short-Form 36 v2 (SF-36) Health Surveys. Two scores within the scoring algorithm will be analyzed: the Physical Component (PCS) and Mental Component Summary (MCS). Chronic disability and daily living activities; Oswestry Disability Index (ODI). Patient satisfaction (would you do it over again given the opportunity). The results of this study will make a significant contribution to patient care by demonstrating an improved safety, efficiency and, ultimately, long-term clinical outcomes in spinal surgery patients. Fritsch EW, Heisel J, Rupp S: The failed back surgery syndrome: reasons, intraoperative findings, and long-term results: a report of 182 operative treatments. Spine 21:626-633, 1996. Freeman BJ, Mehdian R: Intradiscal electrothermal therapy, percutaneous discectomy, and nucleoplasty: what is the current evidence? Current pain and headache reports 12:14-21, 2008. Goupille P, Mulleman D, Mammou S, Griffoul I, Valat JP: Percutaneous laser disc decompression for the treatment of lumbar disc herniation: a review. Seminars in arthritis and rheumatism 37:20-30, 2007. Schenk B, Brouwer PA, van Buchem MA: Experimental basis of percutaneous laser disc decompression (PLDD): a review of literature. Lasers in medical science 21:245-249, 2006. The purpose of this study is to evaluate the safety and effectiveness of CyberKnife radiosurgery for trigeminal neuralgia treatment with special attention to the risk of facial numbness. The goal is to better define optimal dose and volume parameters. These factors will be analyzed in relation to pain response, complications, and recurrence of symptoms. Frame-based radiosurgery has been recognized as an effective treatment modality for trigeminal neuralgia (TN). However, the long-term safety and efficacy of CyberKnife radiosurgery, along with the ideal portion and length of the nerve for radiosurgical targeting and optimal dose for good pain relief with minimal side effects, have yet to be established. Our preliminary work demonstrated that by comparing clinical outcomes of various CyberKnife centers, optimal treatment parameters and recommendations could be outlined. Our initial results (Click here [PDF] to read a paper) demonstrated that the treatment dose correlated with post-treatment numbness and outcome correlated with length of the nerve treated and not the treatment dose. We intend to add more patients to confirm these findings. Level of pain control, response rate, time to pain relief, and occurrence of hypesthesia with respect to treated nerve length, Dmax, and Dmin will be evaluated. Eighty-seven of 95 (92%) patients reported some initial pain relief. Excellent pain relief (> 90% pain relief and completely off pain medications) was achieved in 64 (67%) patients. The median time to pain relief was 14 days (range 0.3–180 days). We evaluated the treatment of the patients who experienced optimal outcomes (excellent pain relief, no recurrences, no moderate or severe numbness, and no complications) and identified the following optimal radiosurgical treatment parameters: a median maximal dose of 78-Gy (range, 70–85.4 Gy) and a median length of the nerve treated of 6-mm (range, 5–12 mm). This study was published in Neurosurgery (Click here [PDF] to download and read the full paper) and granted the Best Presentation Award in the Intracranial and Spine Section at the 5th Annual CyberKnife Users’ Meeting in 2006. This prospective study will compare the overall survival and progression-free survival rate, radiological response, quality of life and toxicity of patients treated with CyberKnife, either as radiosurgical boost after initial treatment, or at the time of tumor recurrence. We have performed a retrospective analysis that demonstrated there was no apparent survival advantage using CyberKnife (CK) in initial management of GBM patients. This study received the BrainLab Community Neurosurgery Award at the 2008 annual AANS meeting. The data suggested that CyberKnife radiosurgery should be reserved for patients manifesting with local tumor recurrence or progression after conventional therapy. The median survival from the diagnosis for the patients treated with CK as an initial clinical therapy was 11.5-months compared to 21-months for patients treated at the time of tumor recurrence/progression. This difference was statistically significant (Kaplan-Meier analysis; P = 0.0004). Click this link (PDF) to read more about the results of this study. We believe that CyberKnife is effective as a radiosurgical boost, in addition to the standard treatment, and deserves further exploration in a prospective study designed to control for multiple variables. Arm I: CyberKnife radiosurgery performed within 3-months of diagnosis and within one-month of surgical resection/biopsy in conjunction with standard of care adjuvant treatment. Arm II: CyberKnife radiosurgery performed at tumor recurrence or progression following surgical resection and standard of care adjuvant treatment. Stereotactic biopsies will be performed to differentiate between recurrent tumors and radiation necrosis or a combination of tumor and radiation damage. The purpose of this study was to compare transforaminal lumbar interbody fusion (TLIF) with anterior-posterior (AP) reconstructive surgery by quantitatively assessing clinical parameters, such as surgical blood loss, duration of the surgery, length of hospitalization, and complications. Various lumbar interbody fusion approaches are used to treat painful degenerative disc disease. Both AP and TLIF surgeries provide a circumferential fusion. However, the TLIF approach is less invasive and simultaneously allows for decompression of the neural structures, relief of radicular pain, and stabilization of the motion segment without additional anterior approach. A retrospective study was performed of a total of 167 one- and two-level lumbar interbody fusion surgeries. TLIF was performed on 124 patients and AP reconstructive surgery was performed on 43 patients. The following conclusions were made based on the results of this study: AP lumbar interbody fusion surgery is associated with more than two-times higher rate of complications, significantly increased blood loss, and longer operative and hospitalization times compared to TLIF. A total of 33 patients (77%) that underwent AP reconstructive surgery had complications. Twenty-seven patients (63%) had major complications, which included ileus, deep venous thrombosis, pedicle screw or allograft malposition that required reoperation, blood vessel damage, pulmonary embolus, and infection. Click this link (PDF) to read more about the results. The purpose of this study was to evaluate the safety and efficacy of rhBMP-2 (recombinant human bone morphogenetic protein-2) for transforaminal lumbar interbody fusion (TLIF) surgical approach using clinical results, radiographs and CT scans as a determinant of radiographic outcomes. RhBMP-2 (Medtronic Sofamor Danek, Inc.) is a genetically engineered version of a naturally occurring protein that helps to stimulate bone growth (3). Spinal fusion surgery is a common treatment for such spinal disorders as spondylolisthesis, scoliosis or severe disc degeneration. It involves joining or fusing one or more vertebrae to reduce pain and stabilize the spine. TLIF or transforaminal fusion provides a unilateral access to the disc space through the intervertebral foramen, at the same time taking pressure off the nerve root (6). Most of the surgeries performed by Boulder Neurosurgical & Spine Associates neurosurgeons are done using a minimally invasive approach. Several small incisions of 0.5-inch to 1.5-inches are made during a minimally invasive surgical procedure to insert special instrumentation to access the patient’s spine by pushing tissues and muscles away. A special spacer, called a structural allograft is inserted with bone morphogenetic protein and a rod/screw fixation system through the same incisions. Blood loss, postoperative hospitalization and recovery time are minimized (2). An advanced type of spinal fusion surgery used rhBMP-2 to create new bone, eliminate the need for painful bone graft harvesting, and significantly improve patient recovery time (1, 5). Autologous iliac crest bone was previously considered the “gold standard” in the spinal fusion applications. However, this potentially results in significant additional morbidity. The autograft harvesting procedure can be associated with increased blood loss and operative time, additional complications, prolonged hospital stays and recovery time (2, 4, 7). To determine rhBMP-2 safety and efficacy, patients enrolled in this study underwent clinical, neurological, and radiographic examinations. Patients who met the specific inclusion and exclusion criteria and agreed to participate for this study. Degenerative disc disease diagnosed when imaging findings are present: decreased disc height and hydration, osteophyte formation, ligamentous thickening, Modic changes, disc herniation, instability or facet joint degeneration. Patients who underwent conservative therapy for at least 3-6 months, unless symptoms are progressing in nature or in conjunction with gross spinal instability on radiographic imaging. Patients with no history of hypersensitivity to protein pharmaceuticals, collagen or anaphylaxis. All potential candidates are subject to the above and additional non-listed list clinical trial criteria. Our study results demonstrated that TLIF surgical procedure with bone morphogenetic protein application was a safe and effective method of spinal lumbar fusion. No complications as a result of rhBMP use have occurred during the surgery or at the initial 2-year follow-up period. The study also suggested that the use of the bone morphogenetic protein results in a reliable fusion sooner and almost completely eliminates the need for an iliac crest bone harvesting. A solid fusion was achieved in 100% of the patients that participated in this study. The study was published in one of the top journals in the field, the Journal of Neurosurgery. Click this link (PDF) to read the paper. Boden SD, Zdeblick TA, Sandhu HS, Heim SE: The use of rhBMP-2 in interbody fusion cages. Definitive evidence of osteoinduction in humans: a preliminary report. Spine 25:376-381, 2000. Burkus JK, Heim SE, Gornet MF, Zdeblick TA: Is INFUSE bone graft superior to autograft bone? An integrated analysis of clinical trials using the LT-CAGE lumbar tapered fusion device. J Spinal Disord Tech 16:113-122, 2003. Cheng H, Jiang W, Phillips FM, Haydon RC, Peng Y, Zhou L, Luu HH, An N, Breyer B, Vanichakarn P, Szatkowski JP, Park JY, He TC: Osteogenic activity of the fourteen types of human bone morphogenetic proteins (BMPs). J Bone Joint Surg Am 85-A:1544-1552, 2003. Gibson S, McLeod I, Wardlaw D, Urbaniak S: Allograft versus autograft in instrumented posterolateral lumbar spinal fusion: a randomized control trial. Spine 27:1599-1603, 2002. Mummaneni PV, Pan J, Haid RW, Rodts GE: Contribution of recombinant human bone morphogenetic protein-2 to the rapid creation of interbody fusion when used in transforaminal lumbar interbody fusion: a preliminary report. Invited submission from the Joint Section Meeting on Disorders of the Spine and Peripheral Nerves, March 2004. J Neurosurg Spine 1:19-23, 2004. Thramann JJ, Villavicencio AT, Burneikiene S: Minimally Invasive Pedicle fixation versus Anterior Posterior Reconstruction for Lumbar Disc Degeneration and Instability. Presented at Current Techniques in the Management of Spinal Disorders Symposium, Boulder, Colorado, 2004. Younger EM, Chapman MW: Morbidity at bone graft donor sites. J Orthop Trauma 3:192-195, 1989. Sub-Investigators: Jeffrey J. Thramann, M.D. ; E. Lee Nelson, M.D. The purpose of this clinical study was to prospectively evaluate the utility of 3-dimensional isocentric fluoroscopy (SIREMOBIL Iso-C 3D) as an adjunct for the placement of complex spinal instrumentation. Reduced visualization of the operative field in minimally invasive surgery requires higher accuracy. The unreliability of routine fluoroscopy in assessing pedicle screw placement has been previously demonstrated in clinical studies (4-7). Isocentric fluoroscopy employs axial, coronal and sagittal reconstructed images and allows real-time navigation in three dimensions during surgery (8, 9). The isocentric technique means that x-rays are automatically centered and always have a common focus point. No adjusting by the technologist is necessary. The intra-operative 3D imaging with the mobile isocentric C-arm SIREMOBIL Iso-C 3D yields more information, higher quality, and accuracy (2, 3) during the surgery, compared to the standard procedures usually performed (intraoperative biplanar fluoroscopy). A surgeon is able to intraoperatively verify the placement of pedicle screws using SIREMOBIL Iso-C 3D. This eliminates the need for the follow-up radiological examination and ensures proper placement of instrumentation before the patient leaves the operating room. Although Iso-C 3-D fluoroscopy does not completely eliminate the subsequent need for conventional fluoroscopic images, its overall effect is to decrease the amount of radiation exposure to the patient and the operative staff (1). Our previous study results showed that patients received 1.5 times less radiation exposure during surgical procedures using SIREMOBIL Iso-C 3D (10). Eligibility: There are no investigational devices or specific inclusion/exclusion criteria for this study. Patients, who underwent surgery for spinal diseases and agreed to participate, were considered for this study. Please consult your physician for the details. Only 4 percutaneous transpedicular lumbar screws out of a total of 265(1.5%) were malpositioned. This study demonstrated the use of intraoperative three-dimensional fluoroscopy for image guidance in minimally invasive complex spine instrumentation procedures is feasible and safe. This technique provided excellent visualization of three-dimensional relationships. This potentially results in improved accuracy of screw positioning and the ability to detect misplaced screws prior to wound closure. This technique also potentially resulted in a significant reduction in radiation exposure for both, the patients and the staff. Click this link (PDF) to read more about the results. Gebhard F, Kraus M, Schneider E, Arand M, Kinzl L, Hebecker A, Batz L: [Radiation dosage in orthopedics – a comparison of computer-assisted procedures]. Unfallchirurg 106:492-497, 2003. Grutzner PA, Beutler T, Wendl K, Von Recum J, Wentzensen A, Nolte LP: [Intraoperative three-dimensional navigation for pedicle screw placement]. Chirurg, 2004. Hott JS, Deshmukh VR, Klopfenstein JD, Sonntag VK, Dickman CA, Spetzler RF, Papadopoulos SM: Intraoperative Iso-C C-arm navigation in craniospinal surgery: the first 60 cases. Neurosurgery 54:1131-1136; discussion 1136-1137, 2004. Jutte PC, Castelein RM: Complications of pedicle screws in lumbar and lumbosacral fusions in 105 consecutive primary operations. Eur Spine J 11:594-598, 2002. Laine T, Lund T, Ylikoski M, Lohikoski J, Schlenzka D: Accuracy of pedicle screw insertion with and without computer assistance: a randomised controlled clinical study in 100 consecutive patients. Eur Spine J 9:235-240; discussion 241, 2000. Odgers CJt, Vaccaro AR, Pollack ME, Cotler JM: Accuracy of pedicle screw placement with the assistance of lateral plain radiography. J Spinal Disord 9:334-338, 1996. Schulze CJ, Munzinger E, Weber U: Clinical relevance of accuracy of pedicle screw placement. A computed tomographic-supported analysis. Spine 23:2215-2220; discussion 2220-2211, 1998. Villavicencio AT, Burneikiene S, Thramann JJ: Intraoperative Image Guidance for Complex Spinal Surgery. Presented at Rocky Mountain Neurosurgical Society 39th Annual Meeting, Squaw Valley, California, 2004. Villavicencio AT, Burneikiene S, Thramann JJ: Isocentric 3-D Fluoroscopic Navigation for Spinal Surgery. Presented at The Winter Clinics, Cranial and Spinal Surgery, jointly sponsored by The Mayfield Clinic, The Cleveland Clinic and the Mayo Clinic Dept. of Neurological Surgery, Snowmass, Colorado, 2004. Villavicencio AT, Burneikiene S, Thramann JJ: Intraoperative Three-dimensional Fluoro-based CT Guidance for Percutaneous Kyphoplasty. Presented at Current Techniques in the Management of Spinal Disorders Annual Meeting, Boulder, Colorado, 2004. Describe a new method that combines percutaneous kyphoplasty, for reduction of vertebral fractures, with a 3-D intraoperative CT-based image guidance approach, and its implementation into clinical practice. An estimated 750,000 vertebral compression fractures occur every year in the United States. The kyphoplasty and vertebroplasty procedures have recently been developed in order to potentially provide immediate pain relief and stability with minimally invasive surgical intervention. Since being introduced into surgical practice in late 1990s, kyphoplasty has become a preferable method for treating osteoporotic vertebral compression fractures by many spine surgeons. The potential advantages of kyphoplasty over vertebroplasty include avoidance of high-pressure injections, uncontrolled fills and the ability to restore vertebral height or reduce the associated spinal deformity. Complication rates of up to 10% are reported in the literature. This problem is usually related to suboptimal visualization of the pedicular margins using plain fluoroscopy in osteoporotic patients. We evaluated the first series of patients, who underwent the minimally invasive kyphoplasty procedure, using isocentric fluoroscopy-based image guidance in an effort to decrease the risk of complications, operative time, and the amount of radiation exposure to the patient and operating room personnel. Use of three-dimensional fluoroscopic visualization in association with the minimally invasive, percutaneous kyphoplasty procedure appears to increase the safety of this potentially technically challenging procedure. The procedure was well-tolerated and successful in treating all patients. No complications were encountered during or after the procedure. Because kyphoplasty candidates tend to be elderly patients, many with potential comorbidities, it is essential to limit complications in this patient population. The initial cannulation of the vertebral body using isocentric fluoroscopy decreases the incidence of approach-related problems such as inadvertent medial or lateral wall penetration of the pedicle or vertebral body. The use of isocentric fluoroscopy combines the advantages of “CT guidance” and real-time fluoroscopic evaluation of the cement fill without increased radiation exposure. The rationale of this study was to compare the effectiveness and safety of minimally invasive and traditional open surgical approaches. The main objective was to verify that by minimizing iatrogenic tissue injuries the same goal can be accomplished without compromising the purported benefits of the surgery. Minimally invasive approaches have rapidly gained popularity because of it minimizes tissue trauma and has the potential for less blood loss. These prospective benefits of minimally invasive TLIF have been shown to result in decreased narcotic use, length of hospitalization, and quicker recovery. A total of 139 consecutive cases were analyzed. From the results of this study we were able to conclude that with no significant difference in clinical outcomes (including pain scores and patient satisfaction with the results) or operative time, both open and percutaneous TLIF procedures, appear to be equally effective. Several benefits accompany the percutaneous TLIF approach, including reduced length of hospitalization and decreased blood loss. The results of this study are currently being analyzed and prepared for publication. A retrospective chart review was performed to evaluate the safety of a broad patient population undergoing outpatient instrumented ACDF and identify hardware related, peri-, and intraoperative complications. There are substantial benefits to outpatient surgeries besides overall reduced costs, including decreased exposure to nosocomial infections. The reported average lengths of stay range between twenty-hours to four-days for single and multilevel procedures. The reason for this wide variation in average length of stay is unclear, but the discrepancies most likely arise from individual physicians or patient preferences, complications, or Medicare reimbursement requirements. The safety and feasibility of performing ACDF as an outpatient procedure was assessed comparing intra- and peri-operative complications, which were reported for a six-month follow-up time period. This included reports at discharge, two or three week postoperative appointments, three- and six-month follow-up visits, and unplanned postoperative visits. Over a two-year period, from April 2003 to April 2005, 103 patients were enrolled in our study to evaluate the feasibility and safety of performing ACDF with instrumentation procedures on an outpatient basis. The overall complication rate was 3.8% (4 patients). The average hospitalization time was 8 hours (range 2-15 hours) for 99 patients (96.1%) undergoing single and two-level ACDF. Four patients (3.9%) who underwent three-level ACDF were discharged after a 23-hour observation period. This study demonstrated that it is a safe to discharge patients within 24-hours after this type of surgical procedure. This represents an important finding both for the well-being of patients who can return home and therefore, recover more quickly, as well as an important economic benefit because the cost of treatment is dramatically decreased due to the shortened hospital stay. Although the low overall and hardware-related complication rates in this study suggest that instrumented ACDF is safe to perform as an outpatient procedure, it does not make a blanket statement regarding the safety of ACDF with instrumentation for every patient. The decision to discharge on the same day of surgery should be a mutual decision made by the patient and physician, including the surgeon and the anesthesiologist. As is true for any surgical procedure, proper patient selection, patient education, and meticulous surgical technique is necessary for successful outcomes. Click this link (PDF) to read more about the results of this study. The purpose of this study was to analyze the safety and feasibility for TLIF surgical approach in this unique patient population. Adult scoliosis is a multifaceted disease accompanied by spinal rigidity, stenosis and severe, progressive back pain and degeneration. Scoliotic deformities can be corrected via anterior and/or posterior surgical approaches. Utilizing a single posterior TLIF (Transforaminal Lumbar Interbody Fusion) approach minimizes risks to the patient typically associated with an anterior procedure, has the advantage of anterior strut grafting, and increased fusion rates. Patients with back pain, as a result of degenerative scoliosis, were included in this study. All patients had central canal stenosis and/or lateral recess stenosis. Some of them also had spondylolisthesis and disc herniation. No surgeries were performed to only correct scoliosis deformation. Patients underwent a selective TLIF with longer instrumentation and posterolateral construct. The levels chosen for TLIF were based on clinical and/or radiographic findings. The purpose of this study was to identify risk factors associated with the occurrence of neck and back pain in triathletes and to establish the lifetime incidence of such disorders in multi-sport athletes. Sports medicine enthusiasts initially thought that triathlon would be associated with less overuse injury due to more balanced stress distribution in the musculoskeletal system. Unfortunately, this theory has not held up. It has been found that triathletes tend to train more hours per week compared to any other group of single sport athletes, which leads to a higher incidence of injury. Most recent studies on triathletes primarily focus on overuse or traumatic injuries including back pain, and concern has been expressed by some authors that investigation of the long-term consequences is needed. An online questionnaire was developed to collect information about physical characteristics, training habits, athletic status, number of races completed, and neck or low back pain among triathletes. The study population consisted of triathletes living and training in the Boulder, Colorado area. The lifetime incidence of low back pain was 68%, with 24% possibly of discogenic origin. The lifetime incidence of neck pain was 48%, with 21% consistent with intervertebral disc involvement. Two major risks factors for long-term spine problems in triathletes were identified: sports-related injuries and overuse. 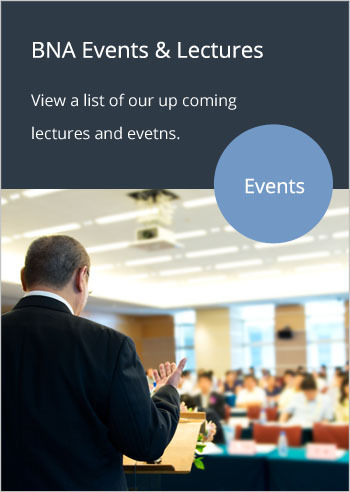 Please click the following links to read our recent published articles on Back and Neck Pain (PDF) and Neck Pain (PDF). The purpose of this study is to quantitatively assess surgical site infection (SSI) and its correlation with the antimicrobial prophylaxis duration and to find out the optimal length of preventive antibiotic use for neurosurgical procedures. The hypothesis to be tested is that longer period of antimicrobial prophylaxis did not reduce the SSI rate in spinal procedures compared to 24-hour antibiotic prophylaxis. The secondary objective of this study is to evaluate patient and surgical characteristics that may influence the risk of SSI development. Surgical characteristics to be studied are: type of surgical procedure (instrumented vs. non-instrumented procedures, surgical levels), blood loss, duration of surgical procedure, complications, drains and catheters used after surgery, and duration of hospitalization. Patient characteristics include: diagnosis, concurrent corticosteroid therapy, complications, and comorbidities (diabetes, anemia, renal insufficiency, pulmonary disease, obesity). Although principles of antimicrobial prophylaxis in surgery have been clearly established, many reports continue to describe inappropriate antibiotics use. Prophylactic antibiotics are used for prevention of infections, not treatment. Risk classification for the development of wound infection after surgical procedures is well-established. Most spinal and cranial surgery procedures are considered clean, but belong to a category where even infrequent postoperative infection involving implanted hardware can be devastating functionally, emotionally and financially. Valid reasons to administer prophylactic antibiotics include a significant reduction of surgical site infection or minimizing the risk of SSI in surgical procedures where the consequences of infection are serious or even disastrous. An excessive duration appears to be the principle reason for inappropriate use of antibiotics in current surgical practice. The main factors include the inability of clinicians to distinguish between contamination and infection, infection and inflammation, and failure to stratify the latter. Therefore, prophylactic drugs are carried through into the postoperative period. The majority of published evidence demonstrates that antibiotics prophylaxis beyond wound closure is not necessary and there is no value to extend antibiotics administration after the surgery is completed. However, controversy persists about the optimal duration of prophylaxis: 24-hours or 48-hours, against 3-5 days postoperatively, as recommended by pharmaceutical companies. Patients who meet specific inclusion and exclusion criteria will be considered for this study. Patients with active infections and trauma patients with open fractures will be excluded from the study.